Home » Blog » Electronic Bill of Costs – where are we now? Posted by Michelle Barron on 19th March, 2019 in Opinion and categorised in . As most are no doubt aware there is now a requirement for an electronic bill (Precedent S) to be produced in respect of work carried out after 6 April 2018. This applies to all Part 7 multi-track claims except when proceedings are subject to fixed costs or scale costs, cases where the receiving party is unrepresented or the court has ordered otherwise. It was envisaged in Lord Justice Jackson’s Final Report that time recording software would enable a litigator to capture the information needed for the new bill so that at any given point the bill could be generated automatically thereby saving expense. The format would provide a more transparent explanation as to what work had been done in the various time periods and why. Production of an electronic bill of costs therefore requires allocation of each item of work, communications and disbursements to a phase, task and activity. This exercise will either have to take place at the point the work is recorded (as envisaged by Lord Chief Justice Jackson) or by a costs practitioner when preparing the bill. In my experience, clients do not have the software and/or perhaps the time to enable this work to be done at the time it is recorded and therefore it needs to take place at the time the bill is drafted. We are now in the position where most cases which apply are in a transitional stage in that some of the work was carried out pre 6 April 2018 and some post. The transitional arrangements are contained in PD 5.A4 and provide that a party may serve and file either a paper bill or an electronic bill in respect of work done before 6 April 2018 and must serve and file an electronic bill in respect of work done after that date. Although, it may be preferable to have all the work (pre and post 6 April 2018) in one electronic bill, the problem with this is the time needed in allocating all work to tasks and activities pre 6 April 2018- when this is simply not required. One fellow Costs Lawyer, who predominately acts for paying parties reported that she had seen a lot of “hybrid” bills served, i.e. a mixture of paper bills and electronic bills. In her experience, she concluded that the standard of preparation of electronic bills was “pretty shocking”. A poll carried out by the Association of Costs Lawyers at their annual conference in November 2018 showed that 48% of Costs Lawyers’ clients were not ready for the electronic bill when it came into force. Only 6% reported that solicitors had transitioned easily into the new regime. Over 50% said the electronic bill had increased the costs of assessment. I have been involved in costs litigation for almost 19 years. In my experience, it has never been more technically challenging or time-consuming to prepare a Bill of Costs when at least part of it is in the electronic format. I suspect that larger, national law firms may have the technology to create the electronic bill from their time recording systems but many of the smaller, High Street firms may not be able to afford this outlay. However, the advantages of the electronic bill are that it is easier to analyse the figures when assessing offers. Also, on assessment, the bill can be adjusted as decisions are made to give running totals, thereby saving time in having to manually recalculate the figures and increasing efficiency. 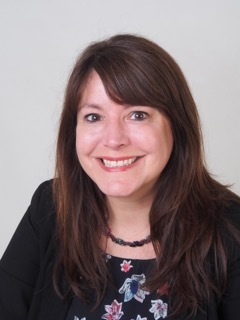 This article was written by Melanie Homersham who is an experienced Costs Lawyer, and leads Burcher Jennings’ Bath office as Practice Manager. She has worked for over 15 years in costs litigation, mostly in the South West. Melanie provides a bespoke, high-quality service; she understands clients’ needs, having worked in-house and externally, and for both Claimants and Defendants.